The strength of our relationship with the students is our ability to gauge their strengths and weaknesses. Orientation Programmes and Bridge courses conducted for the first year students of engineering streams in the following disciplines (English, Physics, chemistry and basic Engineering) and for the lateral entrance. Bridge course helps students to open up, think creatively and become responsible and independent students. The objective of the Bridge course is to expose what is expected of students in Pre University-level classes and to provide adequate foundation in the core applied science subjects and English limited to moderate level so that students do not face any difficulty when the classes commence. The sessions also include ice breakers, Sports and Cultural Activities for all round development. During this interaction of few days with the faculty, the students will come out of their hesitation and it will be the best platform for the students to interact with the faculty members, making it responsible for them to build strong relationships with faculty, advisers and other students. Students are also introduced to different clubs that are operated in the campus (science Club, maths Club,English club, YRC, NSS etc., ) which would empower them in discovering their hidden potentials and enable them to grow into a matured, full-fledged overall personalities. 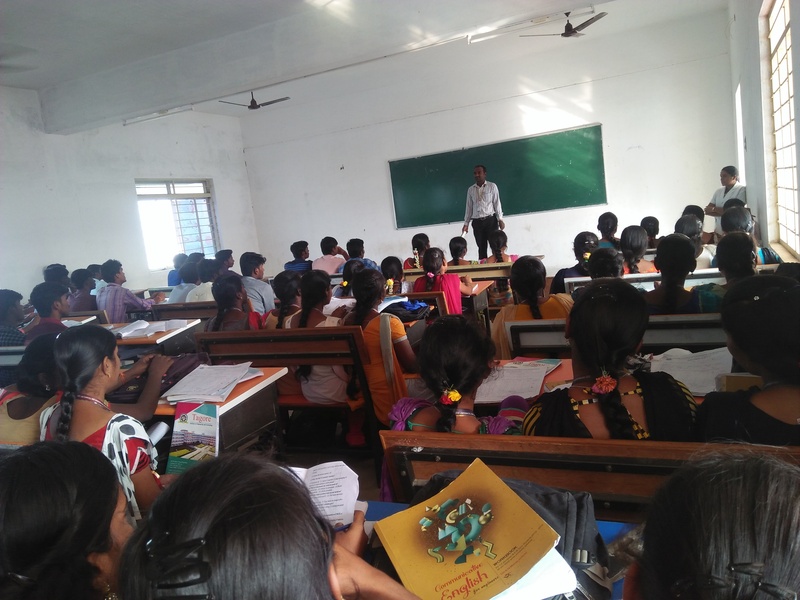 This two-week student enhancement and development programme is devised for overall grooming and enhancement of the students’ fraternity with a special punctuation for students from rural and semi rural community. The statistics show that, there is a gradual improvement of more than 20-30% in the overall performance of the students. Their parents have also deeply appreciated.